While building your forms using our Form Builder, you now have the ability to see a preview of what you are building LIVE while you build it. We are happy to introduce our new Form Builder Preview, which you can access and view on the right side of the Form Builder. You can now toggle back and forth between the Properties and the Preview screens as you are building your form so that you can have a visual representation of what your team sees when they are filling out the form on their device. All you have to do is click the Preview tab. Now you can help optimize your team's experience by how you structure your forms, and have an immediate visual understanding of what your team will see on their devices. The Preview does not accept input answers like it would on a real device, but serves as a visual benchmark. 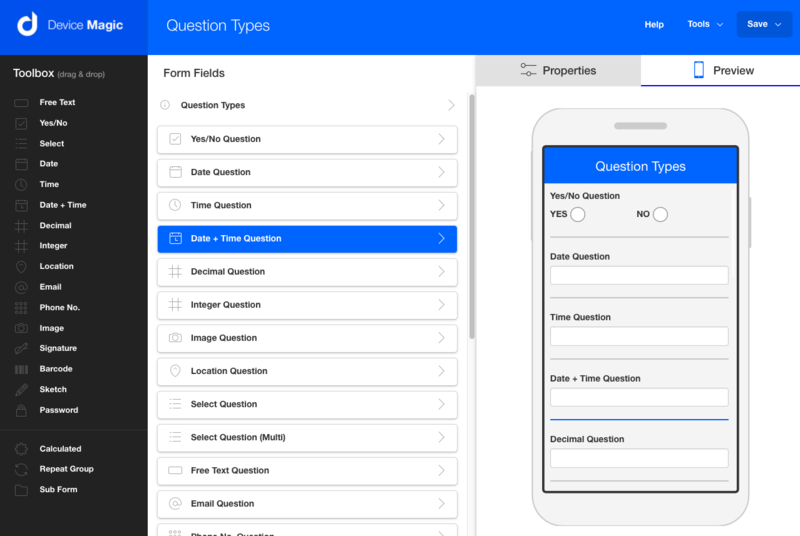 As you click on different questions in your Form Builder, the Preview refocuses on that question within the form. 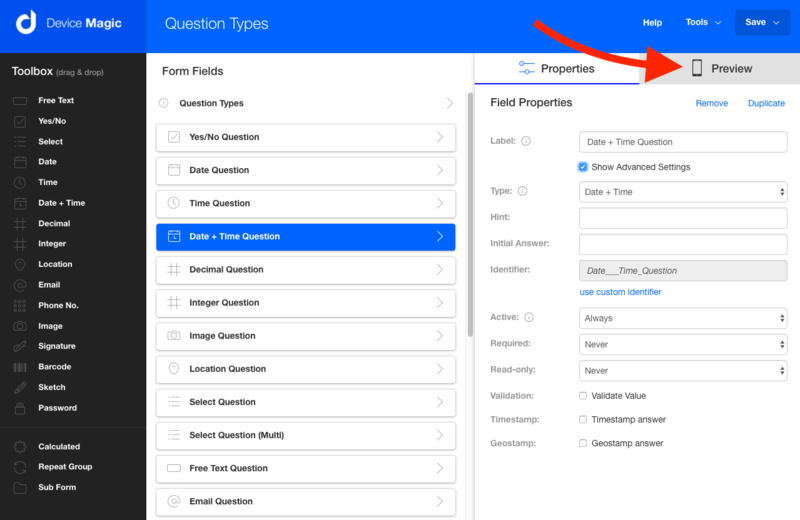 You can also click on your Sub Forms in the Form Builder to see how your questions are displayed within the Sub Form on the device. If you have any questions as you utilize the new Form Builder Preview, please open a chat with our Support Team or reach out to us at support@devicemagic.com.